Hamas rejects Cabinet's announcement that there will be no negotiations with a Palestinian government that includes Hamas. Hamas on Tuesday rejected the Political-Security Cabinet's announcement which declared that the Israeli government will not conduct diplomatic negotiations with a Palestinian government that includes Hamas. The group's spokesman Fawzi Barhoum told AFP that the organization would ignore such "blatant Zionist interventions in Palestinian issues." The Cabinet's statement came following the Hamas-Fatah reconciliation agreement which was reached last week following 10 years of internal conflict. The statement also made clear that negotiations will not resume until Hamas disarms, recognizes Israel and gives up violence. 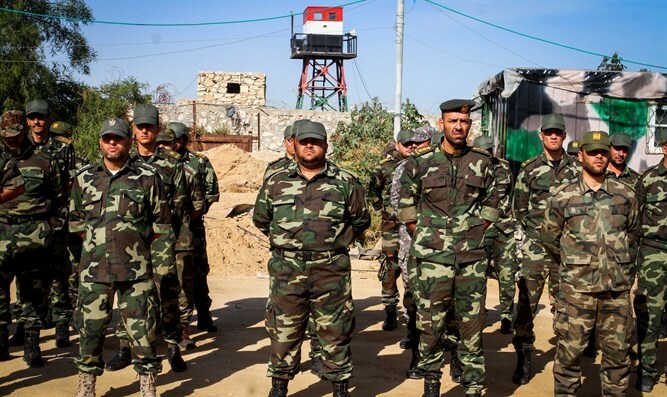 Hamas has controlled Gaza since seizing it in a bloody coup in 2007. A unity government between the sides collapsed in 2015 when Fatah leader and Palestinian Authority chairman Mahmoud Abbas decided to dissolve it amid a deepening rift between the sides. The sides reached the reconciliation agreement after Hamas announced it was willing to hold talks with Fatah and dismantle the Gaza administrative committee, which served as a local independent governing authority.